After a very short review of last week's Twinkle, Twinkle Little Star, this class will learn finger numbers and high and low sounds on the piano. Keyboard Capers author Rebecca Doyle Lennon created an excellent game for learning finger numbers. In this game, the teacher demonstrates the finger numbers to the students and then instructs them to put specific finger numbers on their noses, knees, shoulders, heads, etc. As a challenge, the teacher asks the students to place specific fingers on various body parts with either the left hand or right hand only. Students often have difficulty with individual hands, so this will be a fun way to practice this concept apart from the piano. Rebecca also suggests encouraging the student to lead this exercise. 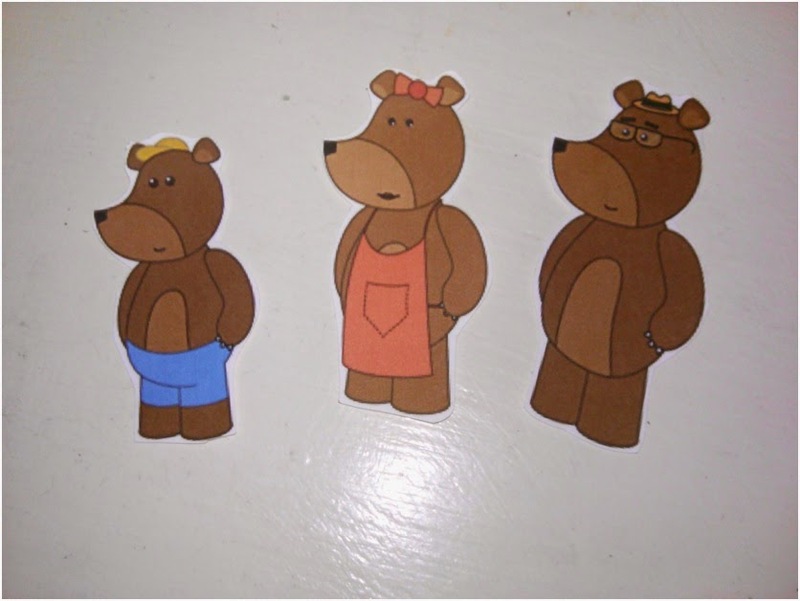 In addition to the activities in My First Piano Adventures Writing Book A and Lesson Book A, we will read The Three Bears and make high, low, and middle sounds on the piano to represent the characters. I plan to use cutouts as cues throughout the story. They can be found here. If time permits, we will work on our aural skill development with a simple recording and scarf activity. The focus of this week's class is loud/soft. Class will kick-off with Rockabye Bear by the Wiggles. We will also sing a modified version of If You're Happy and You Know It that will work with the loud/soft theme. The students will attempt to lead this activity by holding up "volume" cards to tell the class how loud/soft to sing. These cards will have images instead of words to represent volume, since none of the students are able to read yet. The instruments were a huge hit last week, so I plan to incorporate more instrumental activities in this lesson. We will try Here Comes a Bear with shakers, John Jacob Jingleheimer Schmidt with drums played loudly on the "da da da da da da da da" section, and drum experiments where we will place a small object on a drum and observe how far it bounces when we hit the drums loudly and softly. For aural skill development, we will play a game that I call Chicks and Tigers with Haydn's Surprise Symphony. I will place a picture of quiet chicks on one side of the room and a picture of a loud tiger on the other side of the room. While listening to the symphony, the children will move to the picture that matches the volume of the music. Another highlight of this week's class will be a Hide & Seek Game. I will hide an object and give the students musical "clues" on a drum; loud clues will mean they are close to the object. Quiet clues will mean they are moving away from the object.